"Exclusively For Financial Advisors Who Are Hellbent On Joining (And Staying In) The Top 1% - All Others Please Disregard..."
If you’re ready to have hundreds of the best business-building, client-getting, and financial advisor marketing secrets spoon-fed to you in record time, then my new book can show you how. 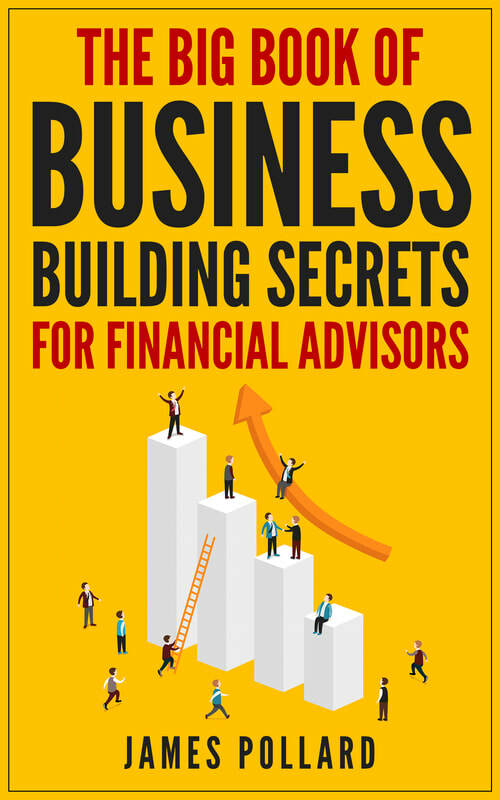 “The Big Book of Business Building Secrets for Financial Advisors”. There will be no exceptions to the investment required. This is also true for the few struggling financial advisors who have written me with hard-luck stories, looking for a price break. Not only will there be no price break, but if you’re in desperate financial straits, I strongly prefer that you do not purchase this material. I’m not looking to inherit anyone’s financial desperation. If you desire “The Big Book of Business Building Secrets’’ so much that you simply must have it, my best advice is to save up for it. Let ownership of this extraordinary material become a fierce career goal for you. You probably already know that the average person who buys any “how to” information gets little to no results. And as with all of my products, my references are used for example purposes only. I’ve had years of experience in the financial advisor marketing world and my results should be considered exceptional. Your results will vary and depend on my factors… including but not limited to your background, experience, and work ethic. Why the old sales wisdom about “know, like, and trust” is incomplete (and the missing ingredient you need to get prospects to beg to do business with you). My top-secret tip for getting unlimited content ideas. I use this technique nearly every day to pump out tons of content for my website, my email list, my podcast, and my newsletter. This is a physical book (not a digital download) which gets shipped directly to your door. Shipping is free, no matter where you live. "The Big Book" is a compilation of hundreds of emails I’ve sent to financial advisors over the years. You can say they’re my “greatest hits”. They're the emails that people have told me were the most valuable. They're the ones that have gotten the most positive feedback, and they're the ones that have the most potential to help you with your business. And never before has this much raw, unadulterated financial advisor marketing wisdom been compiled in one place… until now. Yet, don’t let the size intimidate you because each tip is only about a page or two long. This means you can effortlessly breeze through the material and apply the advice right away. I’ve crammed this book chock-full of unconventional advice, thought-provoking information, and even cringe-worthy stories about what not to do. In some cases, I even give straightforward, fill-in-the-blanks examples you can replicate with ease. Even better? I write in an “infotainment” style, which means it’s filled with information which ranges from straight-up educational to downright hilarious. Not only will this shift your worldview, but it will have you laughing out loud. Why? Because it’s guaranteed to be worth at least 10 times that to you or you pay nothing. For example, on page 154, I reveal one of the biggest mistakes financial advisors make when trying to get more referrals. In fact, there was a study done by Charles Schwab and Texas Tech which revealed that only 2% of clients referred someone when an advisor made this (easily avoidable) mistake. Simply fixing this one thing could pay for this information several times over. On page 165, I give a checklist of six things you should include on your seminar invitation if you want to get more clients. You see, a lot of financial advisors use an invitation which looks like they’re inviting people to a wedding. This is the wrong way to do it and when prospects receive an invitation like that, they throw in straight in the trash. However, if you apply these tips to your seminar invitations, you can sit back and watch your attendance (and conversion rates) go through the roof. On page 215, I highlight the massive growth in millionaire households and how financial advisors can benefit from this "millionaire surge". In fact, the number of U.S. households reporting a net worth between $1 and $5 million (not including their primary residence) recently hit 10 million. Plus, there are 172,000 households with a net worth exceeding $25 million. They all need financial advisors! Which is great news for you because I reveal exactly where 41% of these millionaires are hanging out… and how to approach them for maximum success. Think about it… simply getting ONE of these clients could pay for “The Big Book” many times over. That’s why I consider it the “nuclear option” for when you want to get more clients, fast. But I do know it can sometimes create “miracles” and get even the most indifferent, skeptical, and downright cold prospects to perk up and pay attention to you. Because remember, it’s guaranteed to be worth 10 times its cost, or you pay nothing. Why? Because I want this information to pay you back many times what you paid for it as fast as humanly possible. That way, it's like it doesn't "cost" you any money. If anything, it's like giving money to you. I’ve only printed 2,000 of these books. These are the only 2,000 that will ever be available at any price, and after these copies are gone, they will be gone forever. The reason I’ve only printed 2,000 copies is because, according to the Bureau of Labor Statistics, there are 200,920 financial advisors operating in the United States. I realize that only the most serious, most ambitious, and most growth-oriented financial advisors will order this book. These financial advisors represent the top 1% of the industry. Which means all I’ve done is printed enough for the top 1% and no more. Yet, please don’t feel pressured into buying on impulse simply because only 2,000 will ever be made available. Candidly, I’ve priced this high enough so the supply should last quite some time. I’m not looking to trigger a rush of mass “panic buying” from lots of people, which would inevitably include many less-than-qualified financial advisors. My aim with this is to restrict distribution to a tiny slice of the financial advisor community - exclusively to the most investment-minded, committed, and growth-oriented. That slice is, by definition, very small. The only reason to act now - and this is important - is so that you can start putting these breakthrough client-getting, business-building, and life-improving techniques to work immediately, allowing you to experience the success you desire much sooner than you could achieve otherwise. 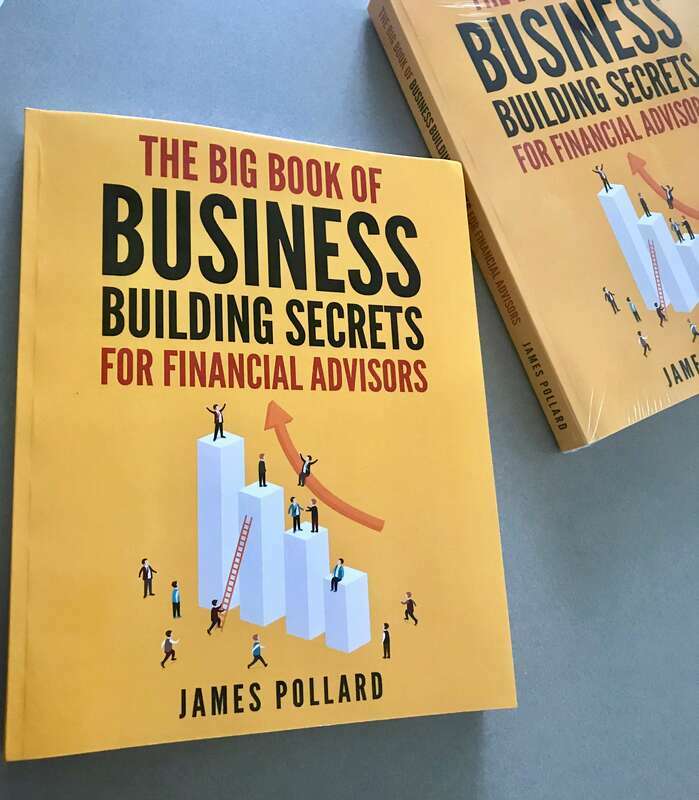 "The Big Book of Business Building Secrets For Financial Advisors" is a bulky and heavy 429-page physical book (there is no PDF or digital download) that costs $595, with free shipping worldwide. This is admittedly expensive for a mere "book". And it's NOT something you should buy on impulse. You risk nothing when ordering because “The Big Book of Business Building Secrets” is guaranteed to be worth at least 10 times its cost two you - or at least $5,950. And you will be the sole judge of that. 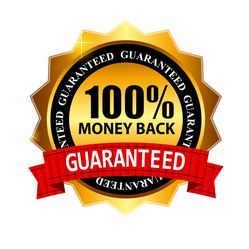 If - at any time within a year after your purchase - you don’t agree that the principles revealed here will be worth at least $5,950 to you over the course of your career, simply return the material for a complete refund. If you’d like to be among those who will possess one of the strictly limited 2,000 copies… fully protected by a one-year, 100% money-back guarantee, simply click the “add to cart” button below. I invite you to seize the moment and join your fellow financial advisors who will stand apart as an elite class because they possess the uniquely powerful secrets of “The Big Book of Business Building Secrets for Financial Advisors”. Thank you for taking the time to read this letter and I look forward to hearing from you soon. No. “The Big Book of Business Building Secrets” is only available in printed form, and will be shipped directly to your door. The reason I’m not offering it in a digital format is because I want you to sit down, read it, highlight it, take notes, and keep it on your desk as a reference. It’s more valuable that way. Please allow 1-3 weeks for delivery, especially if you live outside the United States. It almost never takes that long, but it’s best to be prepared just in case. I have financial advisors following me from around the world. While I am based in the United States and work primarily with American advisors, the principles and strategies behind good marketing are universal. Again, good marketing is universal. I’ve created this product knowing full well that financial advisors from various companies (including Ameriprise, Raymond James, LPL, Edward Jones, Merrill Lynch, Morgan Stanley, and so on) will purchase it. So, if you would like to be among the rare financial advisors who will possess one of the strictly limited 2,000 copies (remember, shipping is free no matter where you live), I invite you to click the “add to cart” button below.